One of my greatest fears in putting my work "out there" was a fear of criticism. I told you last month about how I sat at my desk, finger hovering over the "submit" button, planning my exit strategy in advance. I was afraid I'd be mocked. I was afraid I'd be told I couldn't write my way out of a wet paper bag, and I should be ashamed for besmirching the internet with my feeble efforts. I was afraid my story ideas were ridiculous. I grappled with these thoughts for a while. That's what the exit strategy was about: I was planning to quietly delete the stories and disappear with no one the wiser if it was as bad as I feared it was. I'd like to tell you those fears are baseless, but that wouldn't be honest. 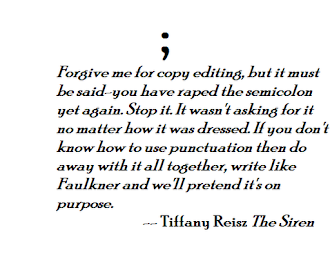 The simple fact is, there's never been a writer who hasn't faced harsh criticism. And with the internet making it easy for anyone who can type to post their opinions, you'll be exposed to it more than writers in the past, who might get a write-up in the paper if their book was successful enough to garner attention, or a forwarded letter from a reader. Pick any author, even ones considered writers of great literary merit, and you'll find bad reviews of their work, sometimes phrased in very cruel terms. Ralph Waldo Emerson once said of Jane Austen: “Miss Austen’s novels … seem to me vulgar in tone, sterile in artistic invention, imprisoned in the wretched conventions of English society, without genius, wit, or knowledge of the world. Never was life so pinched and narrow." Ouch! Poor Emily Bronte must have winced when she read about her Wuthering Heights: “How a human being could have attempted such a book as the present without committing suicide before he had finished a dozen chapters, is a mystery. It is a compound of vulgar depravity and unnatural horrors.” I recently read through Harry Potter's one star reviews on Amazon, and shook my head in amazement at the number of people who called Rowling's work dull, unimaginative, or said she was a terrible writer. For me, what compounds this is a tendency to give more weight to the negative. The story I hesitated to post has over seven thousand positive reviews ... and five bad ones. Guess which ones I focused on? Deep down, I secretly fear they're right, and everyone else is just "being nice." 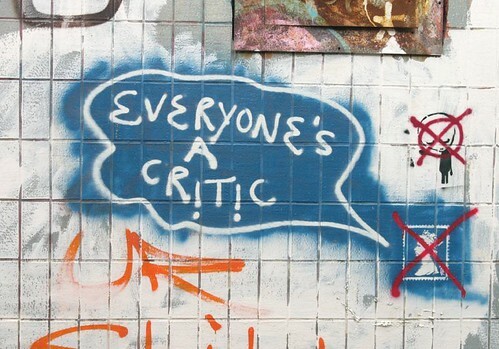 Criticism can be valuable. If it's constructive, you can use it to improve your writing. You learn by making mistakes, after all, and we often can't see them ourselves. That is the question you must ask when you're faced with criticism: Is there anything I can learn from this to be a better writer in the future? If there's nothing of value you can glean from it, then it is merely opinion. Everybody has one, none more valid than the next. Yes, some people will be needlessly cruel. But here is the fundamental truth you must accept: Your critics only have the power that you grant them. There's an old Arabic saying, The dogs may bark, but the caravan passes on. Only you can decide if you're going to stop your caravan and take the barking to heart. 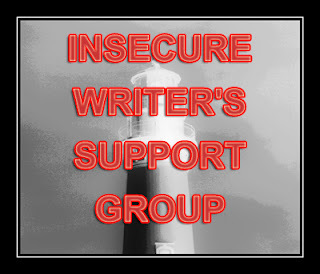 You can see the other posts I've written for the Insecure Writer's Support group here. The main page for the group can be found here. Just read through all your posts with this "tag" and have to say that I am probably in need of that same support group. I am also an escapee from the world of fanfiction and first took the plunge after a great deal of dithering. Also sat with the finger on the mouse waiting to submit for hours with my first piece, even though it was merely a re-write of a scene from a book from another character's POV and the posters on the forum/thread were all friendly, nice and supportive. And the wait before sending my first original story into a publisher was even longer. I put it over for ages (nearly missing the deadline for the open call that had been brought forward without my knowing) and when I did finally take the plunge I nearly write again asking them to disregard it. My skin is still not very thick, and reading a particularly bad one last autumn, I try to avoid reviews entirely these days, but I hope that one day I might be tough enough to go track them down. I really was amazed by the kindness and support of the fanfiction realm. It truly is a wonderful community. One of the things I've learned about reviews: they often tell you more about the reviewer than they do about the story. Everyone sees a story through the lens of their own experience. Fear of failing is a hard nut to crack. And being able to handle criticism objectively is even harder. Just keep going. Good luck and I will follow you with interest. YES! 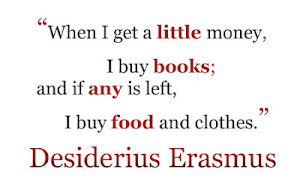 I loved this post. Remembering that some people even hate these well-loved books that have stood the test of time reminds me that you can't please everyone. No matter how fantastic your book is, someone out there is going to hate it. And they'll tell you they hate it. We need to be satisified with out own work. If millions of other people like it, too, that's just icing on the cake. I'm a new follower via GFC. 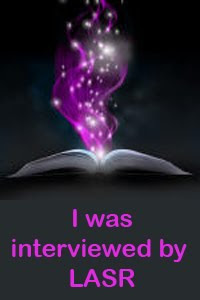 My blog is nickieanderson.blogspot.com. Nice to meet you! Thank you. I'm glad you feel its helpful. It's a difficult step to take and only the writer themselves can decide when they're ready. My younger self couldn't have handled it. I always tell writers, "Once you do decide to make that jump, you'll be surprised at how much support you'll get." I've been embraced by a warm community of writers, and it's been one of the best things about this whole experience.